1. Our limousines are ravishing. We spare no expense and provide you with the most modern vehicle fleet. We want Niagara residents to be pampered and feel like royalty when they book with us. 2. Our drivers are professional. World-class, punctual and courteous, we only allow our best limousine chauffeurs to take you on your epic journey. 3. Reliable and flexible service. We make your trip an exceptionally smooth and effortless experience regardless of your schedule. Plan your next trip with us and we'll be there on time and ready to serve you. 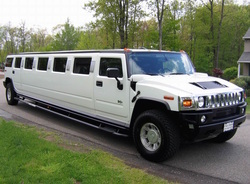 St. Catharines Limousines provides the most reliable and affordable limousine services and party bus rentals in St. Catharines and the surrounding Niagara area. Our stretch limos, luxury sedans and party buses are perfect for all occasions. Experience the difference when riding with us! We have one of the widest selections of modern fleet vehicles in the industry. Call us or request a free limo or party bus quote for your next event and we guarantee you will reach your destination on time and in style! 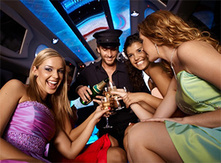 your next luxury limo or Party Bus rental!